Part sets allow for the protection of the perimeter or a selected area of a building. The SPC allows for two part sets per area, you can define the name of this element and also how they operate. This will apply the exit timer to the Partset A or B mode. This will change access zones into entry/exit type zones for either Partset A or B operation. This feature is useful for a domestic installation where a Passive Infrared (PIR) sensor is located in the hallway. If the user partsets the system at night and returns downstairs during the night, he/she may unintentionally activate the PIR sensor in the hallway and trigger the alarm. 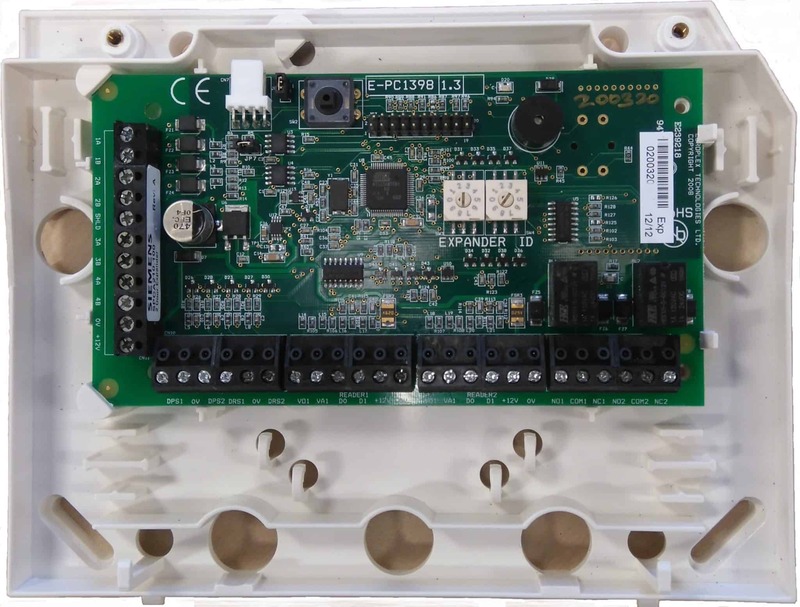 By setting the partset access option, the buzzer will sound for the entry time period when the PIR sensor is activated thereby warning the user that the alarm will activate if no action is taken. This will change the behaviour of entry/exit zones to alarm zones when in Partset A or B mode. This feature is useful for a domestic installation when the system has been set in partset mode. If the user partsets the system at night he/she may wish the alarm to activate immediately if the front or back door is opened during the night. This will restrict the reporting of alarms in Partset Mode to local reporting only (No remote reporting). no bells will be activated for partset A or B. Selecting which zones are included? If the ‘Exclude A’ attribute on a zone is set, then an alarm will not be generated by that zone opening while the panel is in the Partset A mode. The ‘Exclude A’ attribute is valid for Alarm zone type and Entry/Exit zones only. A FULL alarm is generated if a zone with the EXCLUDE A attribute is opened while the system is in FULLSET or PARTSET B Mode (Bells - Internal and External, Strobe). When the ‘Exclude B’ attribute is set, the zone opening will not generate an alarm while the panel is in the Partset B mode. The ‘Exclude B’ attribute is valid for Alarm zone type and E/Exit zones only. A FULL alarm is generated if a zone with the EXCLUDE B attribute is opened while the system is in FULLSET or PARTSET A Mode (Bells - Internal and External, Strobe). How to determine who can control part set? Using the SPCK6XX or SPCK5XX series keypads you can add a shortcut code to the keypad, this allows a user to quickly arm the system by pressing a key twice. You can Part Set A by pressing function key F3 twice. You can Part set B by pressing function key F4 twice. The buttons on the indication module can be configured to perform many tasks, a button can be configured to Part Set an area or alternatively to toggle between Part Set and unset. 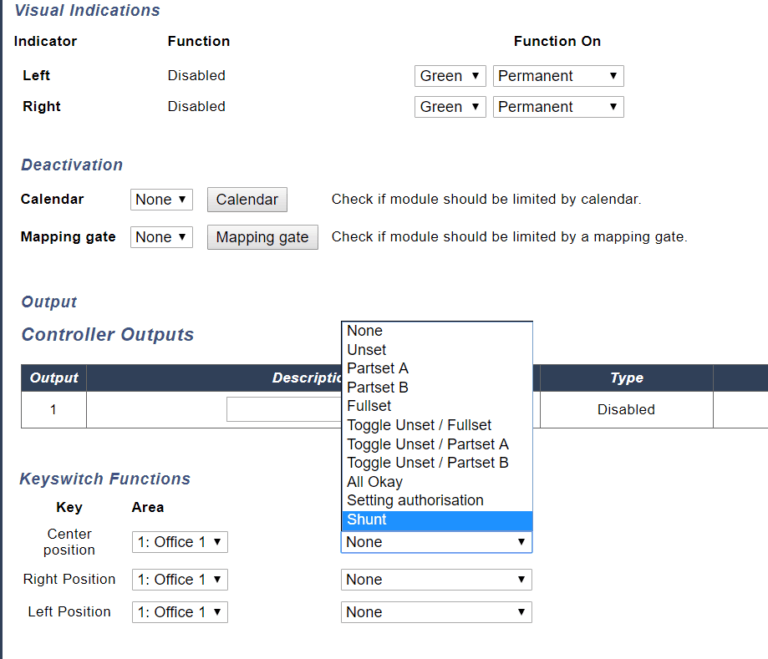 The key switch module can be configured to perform many tasks, a switch position can be configured to Part Set an area or alternatively to toggle between Part Set and unset.